Government Personnel Mutual Life Insurance Company, was founded in 1934. The company’s original focus was to provide insurance services to active and retired US Military personnel. In the 1930s GPM Life became the first commercial insurance company to elect a woman as president. Since that time GPM Life Insurance Co has continued to grow and prosper and has expanded well beyond its original markets. Today, GPM Life provides insurance services to the military, civilian government employees and to the general public. As their name implies, GPM Life Insurance Company sells life insurance. 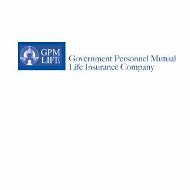 However, while GPM Life is primarily a life insurance company, they now offer a Medicare Supplemental Health Insurance Program under the GPM Life umbrella. GPM Life’s Medicare Supplement is available in most states except for: California, Nevada, New Mexico, Wyoming, New York, New Jersey, Massachusetts and New Hampshire. Consumers may get information on the GPM Life Medicare Supplement Program, available plans and coverage by visiting the mature health center site. Insurance agents will find more information about this GPM Life product support line. For more information about these life insurance products or GPM Life’s Medicare Supplement Program call a GPM Life Agent toll free at 800-929-4765. For active and retired servicemen, GPM Life provides alternatives for the continuation of SGLI (Service Group Life Insurance) for the service member, life insurance for a service member’s family and continuing coverage for military survivor benefit plans. Federal Employees may take advantage of GPM Life’s expertise in offering programs that improve or enhance government benefits such as FEGLI (Federal Employee’s Group Life Insurance) and SSB (Surviving Spouse Benefit). As with most insurance companies, current rates are not available on the GPM Life Web Site. However, you can fill out a quick info card and submit it to get rates for their programs. This page provides comprehensive information on career opportunities, agent support and GPM Life’s general compensation plan. A.M. Best rates GPM Life Insurance as “Excellent” (A-) in financial strength in the 100 million to 250 million dollar category. GPM Life is in the top 20% of all life companies rated by Weiss Research. Their credit rating remains high (A-) and their overall financial outlook is stable. GPM Life Representatives are experts in working with government employees and well qualified to provide professional guidance to all GPM Life clients. The GPM Life Web Site is well constructed and easy to use. It has a separate portal for policy holders and a portal for GPM Life Agents. The company only offers one health insurance program, a Medicare Supplement, but it does offer a wide variety of life insurance programs to the general public. And, if you are serving in or retired from the military or you are one of more than 3 million federal employees, GPM Life has more than 70 years of experience serving your specific insurance needs.